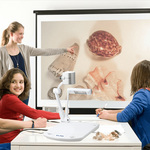 SMART has designed its SDC-450 Document Camera to go with its top of the class collaboration tools. This state of the art document camera allows users to view objects or documents in the camera’s range to be viewed on any display device. The SDC-450 Document Camera boasts a remarkable capture area, zoom capability, frame rate, and camera, surpassing its counterparts in the market. 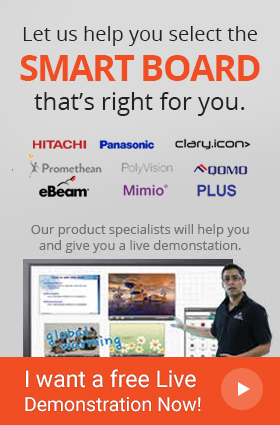 It can conveniently be connected to any SMARTboard Interactive Whiteboard or Touchscreen Panel, allowing users to collaborate over actual objects in their surroundings. SMART offer the Mixed Reality Cube technology with SDC-450 as well, which transmits a 3D image via a lens, guaranteeing a more realistic experience to collaborators.